If you’re looking for a new way to incorporate green, eco-friendly living into your home, look no further than the end of your driveway. Now, eco-friendly mailboxes are available that are solely made from recycled materials and are still durable during a storm. With green living on the rise and potential homebuyers looking for eco-friendly houses, displaying an eco-friendly mailbox will be a sure sign that green living is a top priority in your household. 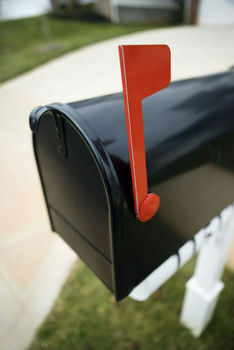 What type of durable, recycled materials can you use for a mailbox? Recycled street signs are made of an ideal metal with the purpose of outlasting any type of weather condition. Purchase an already made mailbox online, or contact your local police department or municipal building about acquiring a recycled street sign to be used as a mailbox. Do not try to obtain one on your own. Recycled license plates can also be attached together to form a mailbox, and old tool boxes are made with heavy duty materials that could work as a mailbox. When you find the material that you want to use, simply shape it into a boxed form and attach it to your old mailbox post or to a wooden beam. You can also put your original, retired mailbox to good use as a toolbox, a money box or a composter. The idea of recycling really does go along way when you realize the multiple uses available for items.